We have an extra room in our house that we didn't know what to do with at first. It's quite small & we already have a guest bedroom, so we thought it would be perfect to turn into a home office. Well, my days are now filled with daydreaming up the perfect space & searching for inspiration to make our home office into an organized environment to inspire creativity. This right here would be my perfect home office. 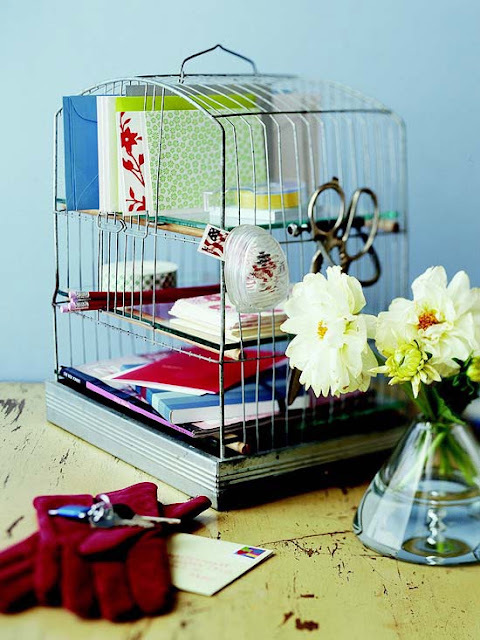 These are definitely more practical office arrangements for our small space. 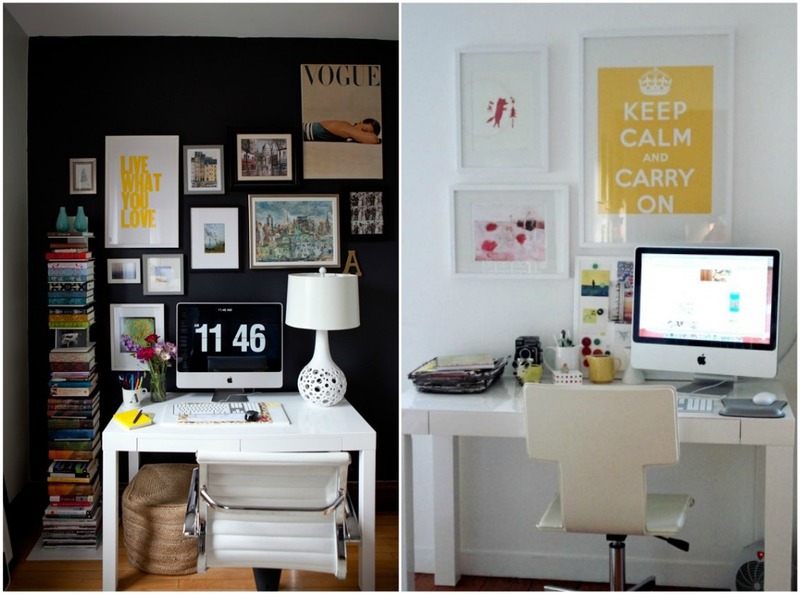 I love these small office spaces with gallery walls. 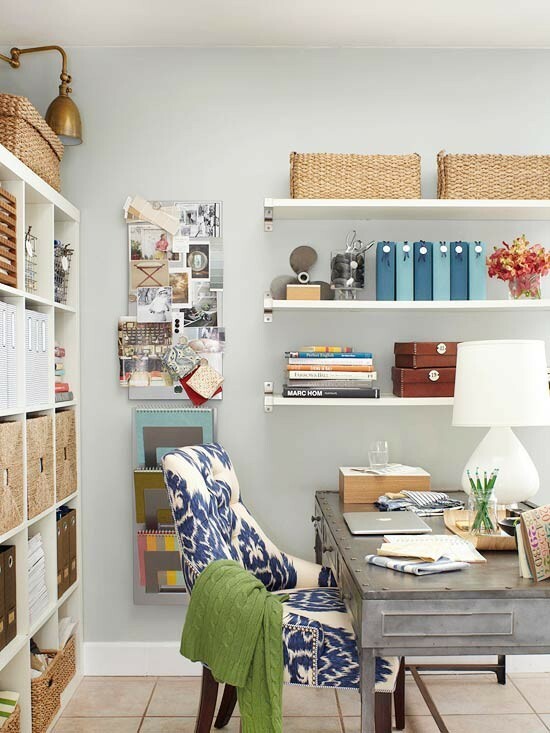 So it's clear that I gravitate towards small multi-purpose desks, surrounded by inspiration boards & gallery walls. Now, I just have to set out & create my own space, using my own style! & I think it would look so cute on top of a little desk. 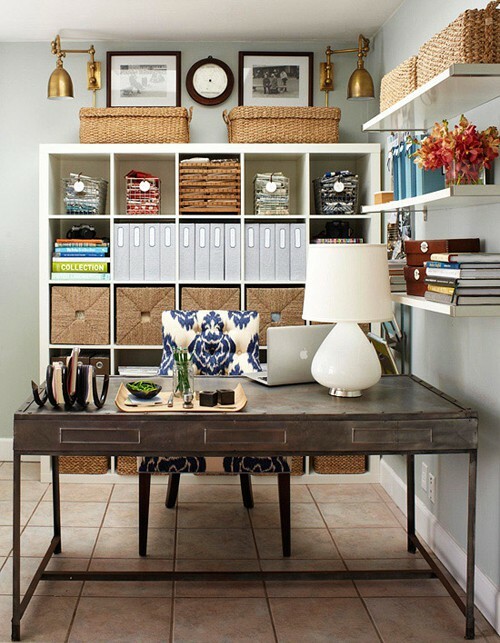 I am loving ALL of these home offices, ha. This post was perfect timing for me...I am thinking through how to transform my extra room into a office and these ideas were great! 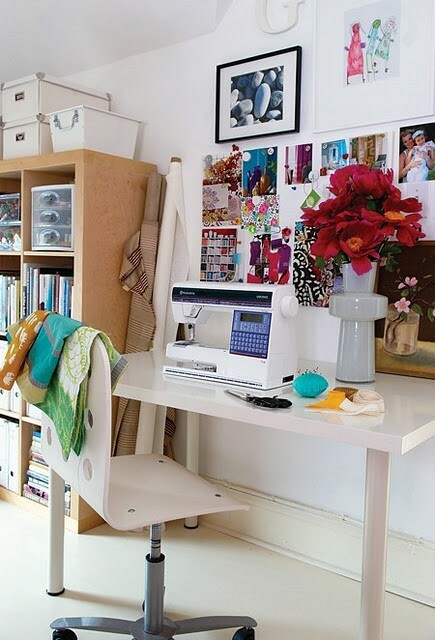 My biggest dilemma is finding a cute, yet affordable, desk. Ok, now I want to redo my office!! eek! I just wanted to know, I love you blog! It's so sweet, and your pup is adorable! loving ALL the inspiration shots..but really drooling over that amazing blue and white chair...I would put that in ANY room of my house!! We must be on the same page with home redecoration. We're working on our office/studio space as I write... second coat of paint goes on tonight! Love all of these inspiration photos!